In my work as a technical publisher, my documents use quite a few "Cautions." 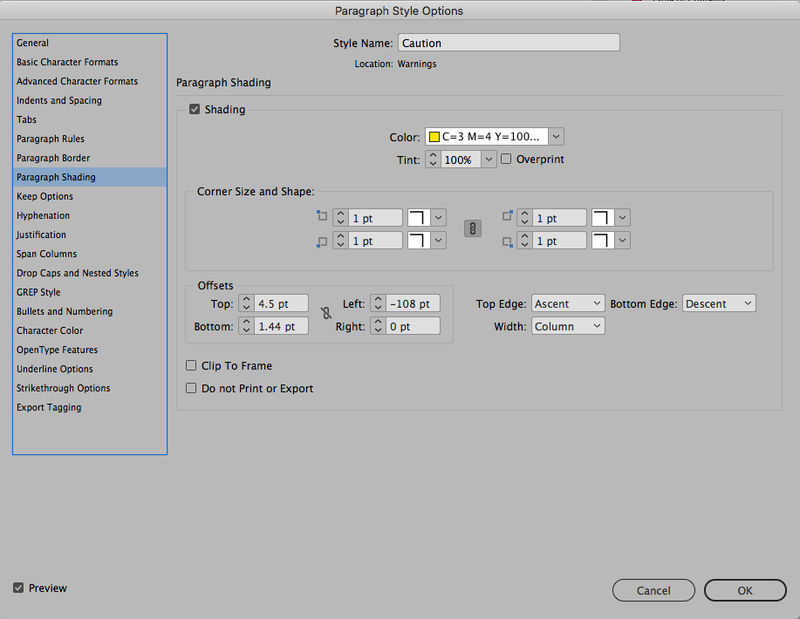 I see requests on the Adobe forums about this from time to time, so I thought I would share my method for formatting these styles. There are a number of ways to set these up, including tables, but I have found that tables can prove a bit cumbersome. 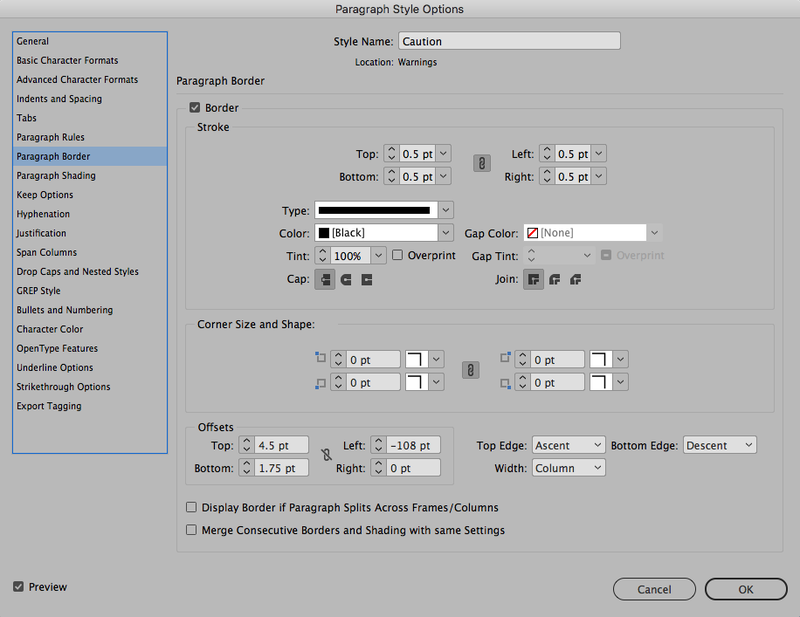 I've decided to incorporate the use of InDesign Paragraph Shading and Paragraph border settings. Disclaimer: These features were introduced in InDesign CC 2018. 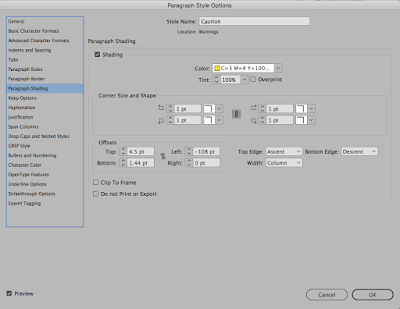 If you open this file in an earlier version of InDesign, it will not behave as expected. Both Warning and Danger styles are set up based on Caution, so if you need to make any adjustments for the spacing or font, you just have to do it in one place. The CAUTION, WARNING, and DANGER text auto-populates (they utilize the bullet feature to accomplish this). The little triangle dings are vector anchored objects, so they are easily editable. The dings each have their own object style, so they sit in the correct spot based on which paragraph style uses them. 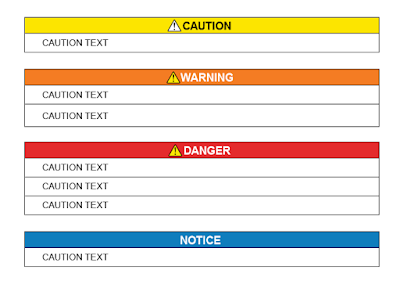 "WARNING" is longer than "DANGER", so the triangle ding sits a little farther to the left. 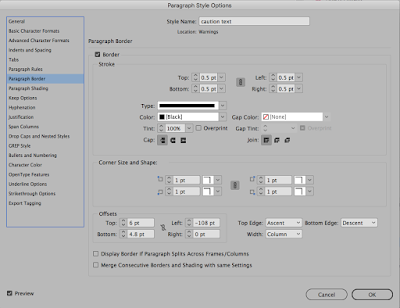 The CAUTION TEXT is set up as a "Next style". 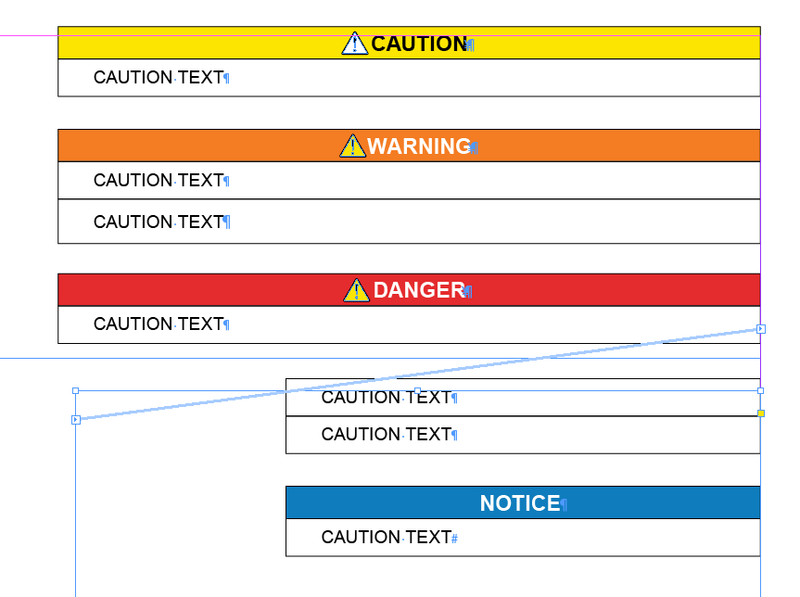 Caution Text displays borders even when over over threaded frames. All styles auto fit the width of the frame. Download the IDML file here.